It’s a big week for you, cat fans. The weekend kicks off with National Black Cat Day, and then it’s straight on to National Cat Day on Monday. Throw in Halloween and it’s like Christmas in October for cat people! The week is chock full of cat fun across the country, even if it’s just you and your kit kat in the comfort of home. Here’s the big week of National Cat Day fun and our state-by-state roundup of cat stuff happening across the country. 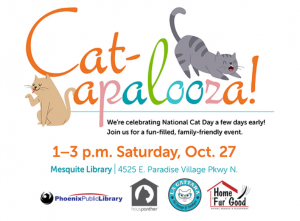 Get a jump on your National Cat Day festivities with Cat-apolooza at the Mesquite Library. There will be a panel of cat experts, Pete the Cat, cat crafts, and more. Free and all ages are welcome. North Phoenix will get a taste of the cat cafe experience as Tempe’s La Gattera Cat Cafe joins forces with the Phoenix Animal Behavior Center in the first of new monthly pop-up events. 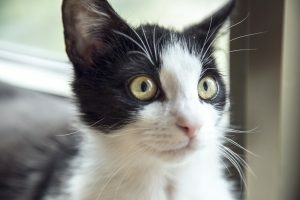 Like permanent cat cafes, this temporary cat cafe allows people to relax with adoptable cats in a congenial setting, and maybe even fall in love. 10 am to 5 pm at Phoenix Animal Behavior Center, 12235 N. Cave Creek Road, Suite 13 in North Phoenix. Cost is $10/person. Did someone say free coffee and cats? Oh yeah, Crumbs & Whiskers is serving up thirty minutes of cats and a cup of coffee FOR FREE all day on Sunday. This is an incredible value and great way to get your National Cat mood on. Sorry gang, no free kittens, just cuddles! Hey, Tallahasee! 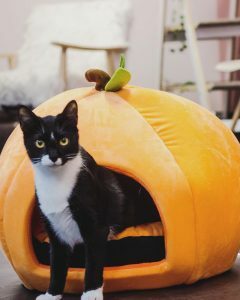 Tally Cat Cafe is THE place to be on Halloween! Come to Costume Kitty Yoga at 1:00 pm, and get a free coffee upgrade just for coming in costume! At 8pm you can cuddle with kitties and enjoy a screening of the Halloween classic Hocus Pocus. We love this event! The pairing of cats and coffee is of course a natural, but why not cats (dogs) and brewskies? 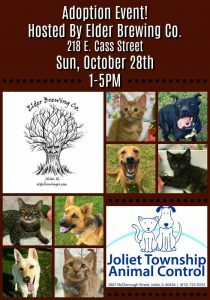 Nothing is better than collaboration of local businesses with their local animal shelters. So head out to support the Joliet Township Animal Control and enjoy this great local event! 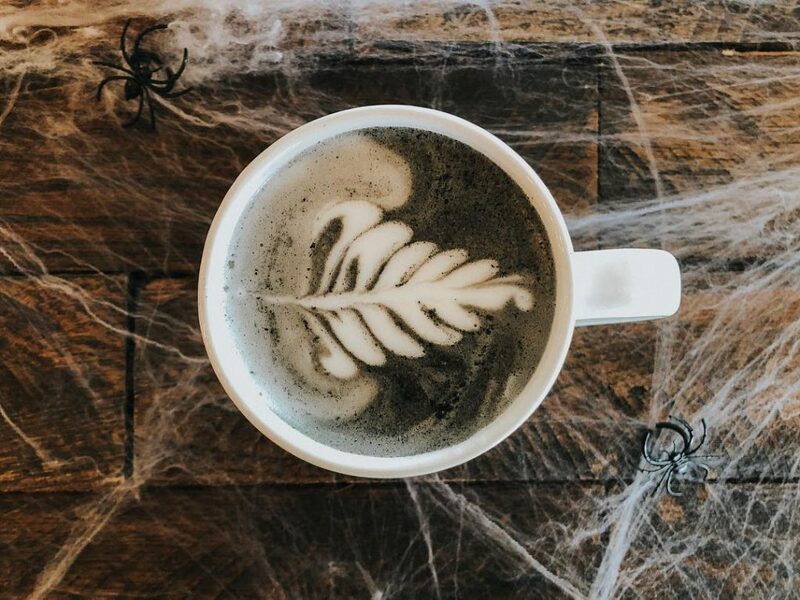 One of very favorite cat cafes, Nine Lives Cat Cafe is offering a special edition Black Cat Latte through Halloween! Of course there are lots of other seasonal treats, and the spooky decorations are worth a visit in themselves. Be warned: you will not want to leave Nine Lives. If you’re not from Indy, know that it is an easy jump off I-70 if you’re travelling across the country. 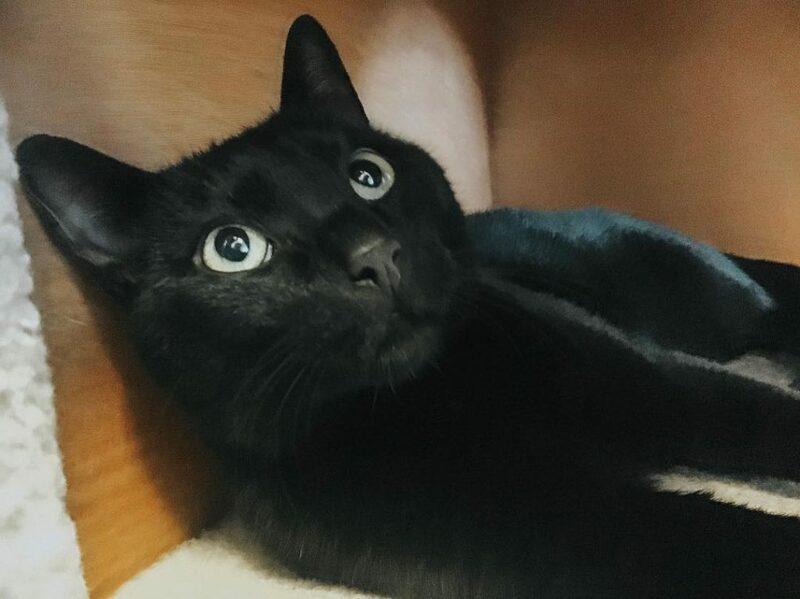 Oh yes, they currently have a couple black kitties among the other lovelies. If you’ve ever been to New Orleans on Halloween, you know it can be lively. Take leave from the tricks in the Maringny by popping in to the Crescent City Cat Club. 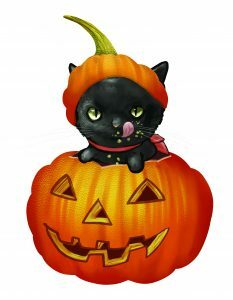 Join The Krewe of Crazy Cat Ladies and Gents for Halloween with the kitties! Beverages and snacks will be provided and BYOB i s also encouraged if you have a fave. Admission is free, but please bring a small donation for the 24 kit kats at the Club. Face painting will be available, so stop by and get your Halloween face on! Costumes are encouraged, especially of the feline variety. There will be a costume contest, with cat shwag as the prize. 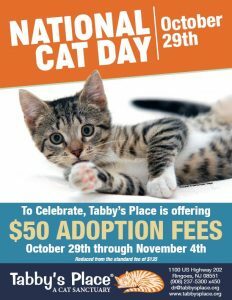 National Cat Day comes but once a year, so Tabby’s Place Cat Sanctuary is celebrating all week with $50 adoption fees. Feeling smitten but don’t have room for another kitten? 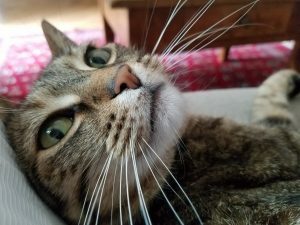 Consider sponsoring a Tabby’s Place Special Needs Cat with a recurring donation. You’ll get updates and regular pictures of the special kitty you’ve “adopted. You heard us right: free coffee and cats! Head over to Crumbs & Whiskers for a taste of the good life with thirty minutes of FREE kitty cuddling and a cuppa joe. It really doesn’t get any better than this, people. Go get ’em! There are however no free cats, just cuddles.